Come Sing with us on any Tuesday night throughout the year (except those that fall on holidays). 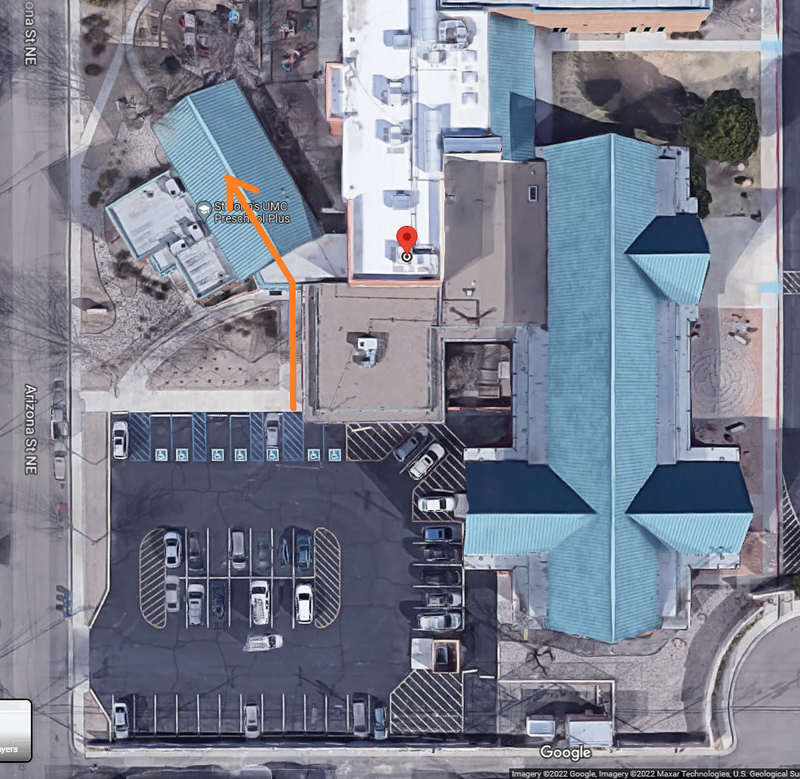 We meet at St. John's United Methodist Church, located at 2626 Arizona ST NE (one block east of San Pedro, one block north of Menaul on Arizona). You don't even need to read music ... we can help with that. Join us at 7 PM on any Tuesday night -- if you get there a few minutes early, we can introduce you to members of the chapter. Here's the MAP. Park in the west lot and use the entry at the north side of the lot. We meet in the Music Center just inside the entry. Say hello to anyone at the visitor's table and he'll tell you how to get started. Sign in, grab a guest book of the music we are singing that evening, and join us on the risers for the time of your life!